In this circa 1980 photo the view is southeast from what is now 10th Avenue Northwest. The silos previously located west of the barn are long-gone by this time. 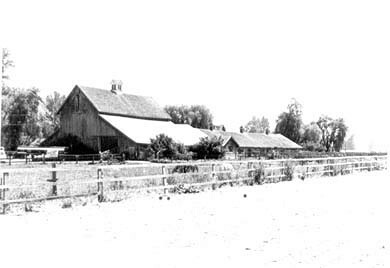 A house trailer is parked at the left front of the barn. In the foreground is the horse race track used for horse training.